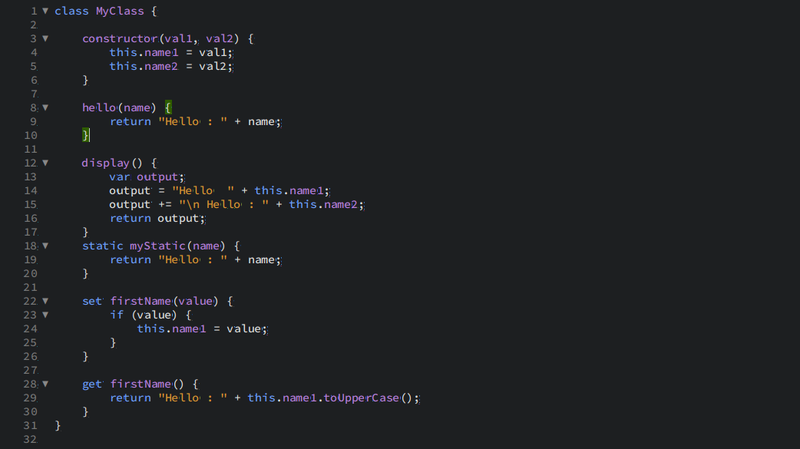 Define a class by using the keyword class and put the class codes under the curly braces. We can instantiate the object of that class by using new keyword and class name. We can create the constructor with the constructor keyword. Setters use the keyword set as prefix followed by method name with a single argument. Getters use the keyword get as prefix followed by the name with no arguments but a return value.